These little monsters damage crops and invade our homes. Here’s how to identify and get rid of stink bugs FAST using proven, natural and organic methods. There are hundreds (and hundreds) of different types of stink bugs. But it’s the Asian newcomers, first found in Allentown, Pennsylvania in 1998, that get all the attention. That’s because they’ve quickly spread across the country. And they’re infamous for swarming inside the walls and other places in one’s house. But they’re not alone. Stink bugs native to North America were causing problems for growers and releasing strange odors long before the non-native types invaded. Most are sap suckers that damage and weaken plants. 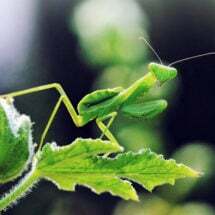 Not picky, the pests feed on fruits, vegetables and vegetation. They’re present, in greater or lesser numbers, all through the growing season. Read on to learn our 10 step treatment program to combat stink bugs naturally and save BIG money doing it yourself! The family Pentatomidae to which these garden pests belong, contains some 900 genera and over 4700 species. More common types include brown, green, rice, Southern and dusky stink bugs. Other family types include shield bugs and chust bugs. Most are identified by their shield, the hardened part of their thorax that gives them the appearance of being armored. Coloring can be solid or mottled and can range from brown and black to bright green with red or orange trim. The widely distributed Conchuela stink bug can be black in southern states, green in northern states, and a strange combination of the two in the area between. Conchuela feeds on fruits and crops including grapes, peas and tomatoes. 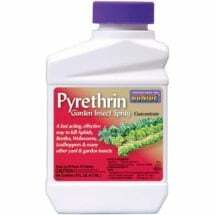 In dry regions it feeds on sage, yucca and prickly pear. The characteristic odor — some describe it as the smell of rotted cilantro — comes from glands located on the thorax. It’s released as a defensive mechanism and can be a nuisance for those working in their gardens or, especially, if found in clusters, on the ground or on sides of trees. Not all stink bugs are harmful. Predators, including the Florida predatory stink bug, feed voraciously on sap-sucking insects. Predators aren’t easily distinguished from harmful types unless you’re familiar with the various coloring of different species. Harmful, vegetative feeders have long, needle-like proboscis. Predators have shorter, bulkier proboscis, and feed on a variety of insect pests. Again, like their sap sucking cousins, they’re not picky. New varieties of pests commonly known as stink bugs continue to come to our shores. The painted bug or Bagrada bug of Southern Europe and Africa, a major pest of brassica crops, was first collected in California in 2008 and has since spread to Arizona and Texas. Euschistus quadrator, a pest that thrives on genetically engineered corn has spread across the south since moving up from Mexico in the 1970s. The sheer variety in stink bugs is on beautiful display at naturalist-photographer Bev Wigney’s gallery. Adults overwinter beneath brush, under tree bark, in wood piles and against the corners of buildings. Some, like the brown-marmorated types, will gather inside walls and window sills if they can find a way in. From wherever they hide, they emerge early in spring and begin to feed. When conditions are right they mate. Like crickets, the stink bugs “chirp” by rubbing their legs together in an attempt to attract mates. They also release a bug-arousing pheromone scent, different than the offensive scent that gives them their name. The female lays distinctive clusters of eggs — as many as 150 in a cluster — on plant leaves, tree branches or on houses, frequently on the bottom of clapboard siding. The clusters can be yellow, brown, white or pink, usually deepening in color as the nymph develops. Breeding can continue through the season, allowing for various generations to be at different stages of development through the summer. Populations increase as they overlap, resulting in higher and higher numbers just as many crops move towards maturity as the season progresses. Nymph stages resemble adults stages but with significant size and color differences. Adult colors appear as the nymph passes through various (often five) instars. Nymphs are usually flightless. In fall, as food sources dry up and disappear, the adults begin to gather in place to overwinter and repeat the cycle. They sometimes will emerge during spells of warm autumn or winter weather but often aren’t seen again until spring. Virginia Cooperative Extension’s Integrated Pest Management program has an excellent field guide (PDF) with photos that identify eggs, nymph and adult stages of various stink bug types. 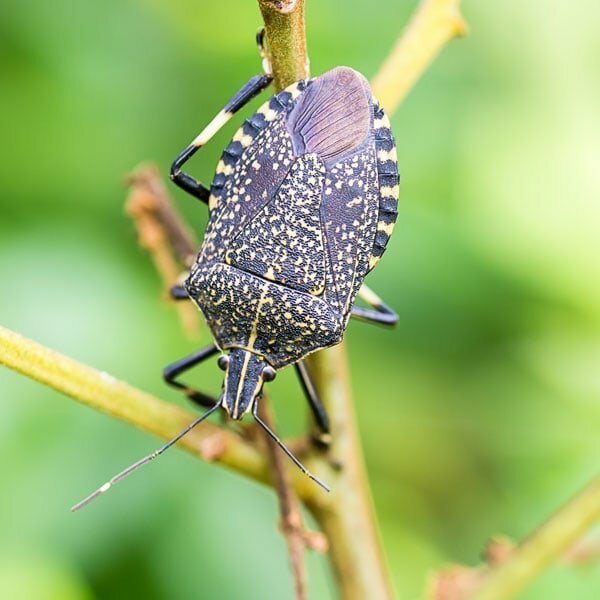 Stink bugs are all appetite and will feed from whatever plants are convenient. They prefer the fleshy part of fruits but can adapt to conditions as plants in late season begin to loose moisture. Some types are known to exist in arid climates on woody plants and even cacti, yet prefer commercially raised, irrigated crops that are grown in such regions. Damage to crops caused by stink bugs is often cosmetic but also leads to early decay and spoilage. In addition to the pin-prick piercing which result in blemishes, the insects also inject a digestive enzyme that causes discoloration as it spreads through the plant’s vascular system. 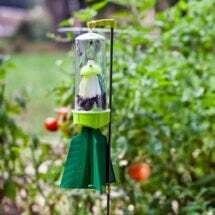 Given the choice, the pests will always choose fruit over foliage, they are opportunist and will feed on what’s available, including seeds and stems. Damage on cabbage and other leafy crops can be seen in gray and beige blotches. Corn attacked by the pests will have dark spots on stalks and, more likely, deformed ears with missing kernels. Fruit skins will show browning where the bugs have fed and tomatoes show a darkened bruise around the spot where the pest has inserted its proboscis. Keep areas around gardens clear of tall grass, brambles, downed limbs and other natural litter to deny a place to over winter. Using good organic practice — soil building, encouraging beneficial microbes and other soil life, maintaining habitat for beneficial organisms including birds; balanced nutrient and moisture management, applications of compost — helps plants resist damage caused by stink bugs. 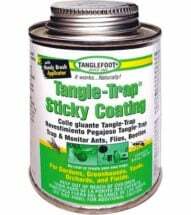 Use sticky traps and tape to detect the presence of pests. When stink bugs are expected, especially as crops approach harvest, use row covers to prevent them from gaining access. 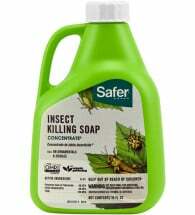 Collect any bugs that land on the covers and drown them in a can with water and some soap. A number of naturally occurring predatory insects will destroy Pentatomidae in stages from egg and larvae to adult. Keep areas surrounding the garden free of pesticides to assure these beneficial insects can play a role in your Integrated Pest Management (IPM) program. The parasitic wasp Trissolcus basalis, which inserts its eggs into the pest’s eggs, has been shown to be effective against the Southern green stink bug. California has released the wasps in some tomato growing areas in an effort to reduce pest damage. Studies after the release found that 80% of all target egg masses had been visited by the wasp and that 87% of the eggs in each mass had been impregnated. 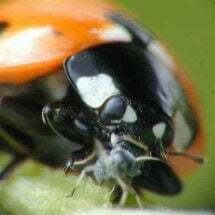 Other beneficial insects known to predate on Pentatomidae during various stages of the pest’s development include ladybugs, lacewing and the minute pirate bug. Kaolin clay, a harmless mineral, has been shown to suppress pest activity. 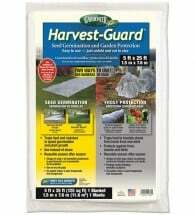 Sold in a modified form as Surround WP Crop Protectant, it repels the bugs by attaching itself to their bodies, agitating them and causing them to flee. The non-toxic kaolin clay also coats leaves and fruit with a fine film that keeps the pests from feeding. (The film has been shown to actually increase photosynthesis and encourage healthy growth in trees and other plants.) 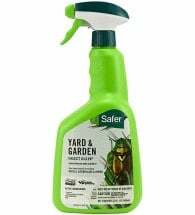 Spray kaolin clay periodically throughout the season in places where stink bugs do heavy damage. 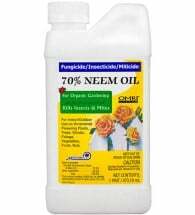 Insecticidal soaps and neem oil are also effective against stink bugs, especially early in the season. Finding pests in your home? Fill an aluminum turkey pan, preferably recycled, with an inch or so of water and stir in a little dish detergent. Shine a lamp (like a desk lamp) on the surface and leave it on overnight. The light attracts the bugs who land in the water and are held by the detergent. From there, you know what to do. Captures ALL stages - both males and females - from nymph to adult. Poison free!